Sally Dean 365 Flowers: Fairie Houses and my show is hung! 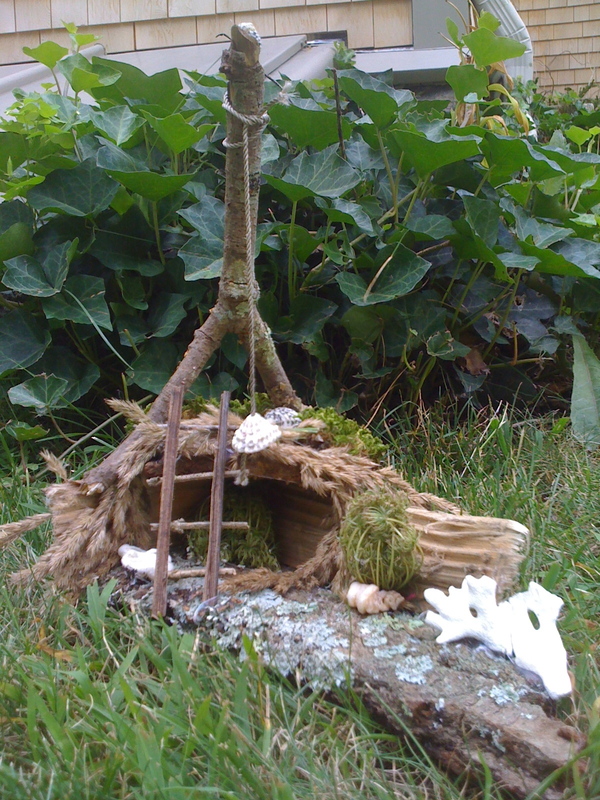 Thursday I made fairie houses at the museum- my friend and yogini Linda Evans made the top one-its a Bahamian hideaway complete with rope swing, mine below is up on a rock for protect from flash floods! 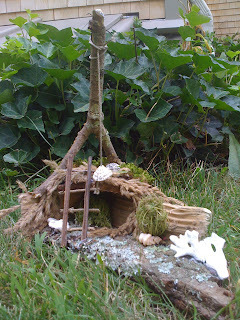 Both are on display at the museum to advertise the free fairie house workshop we hare having on Sept 10 from 1:30-3:30. It is so fun to make these! We hope to get a lot of them to display at our big opening later that month. E-mail me for more info. Hung my paintings yesterday- I'm very pleased with the space at the Hingham Public Library. That show looks fabulous. Love your bold use of color and the illustrative quality in your paintings. I KNEW the 3 black frames in the middle would be stunning. Go Al! Can not WAIT to see it in person! - remind us all of the time via FB please? Your exhibit looks amazing. What great lighting for your stunning pieces, too! Wishing you much luck!